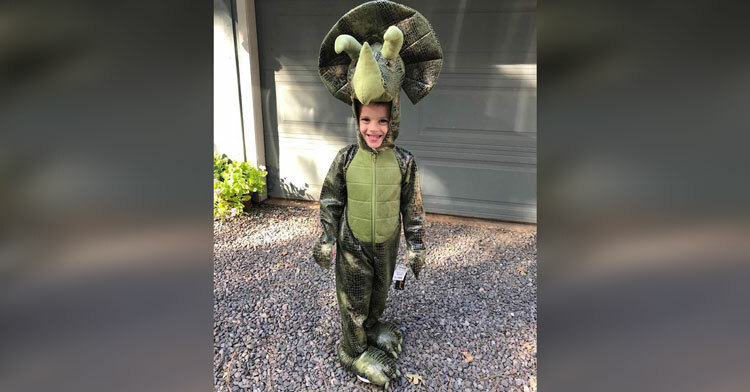 Brave Boy Who Lost Beloved Toy Dinosaurs In Fire Gets Crazy Surprise From Strangers. When Riley Wooten’s Paradise, California home was on fire, all he and his grandmother could think about was getting out alive. Clutching her hand, the brave four year old left everything he owned behind, including his beloved collection of dinosaur toys. 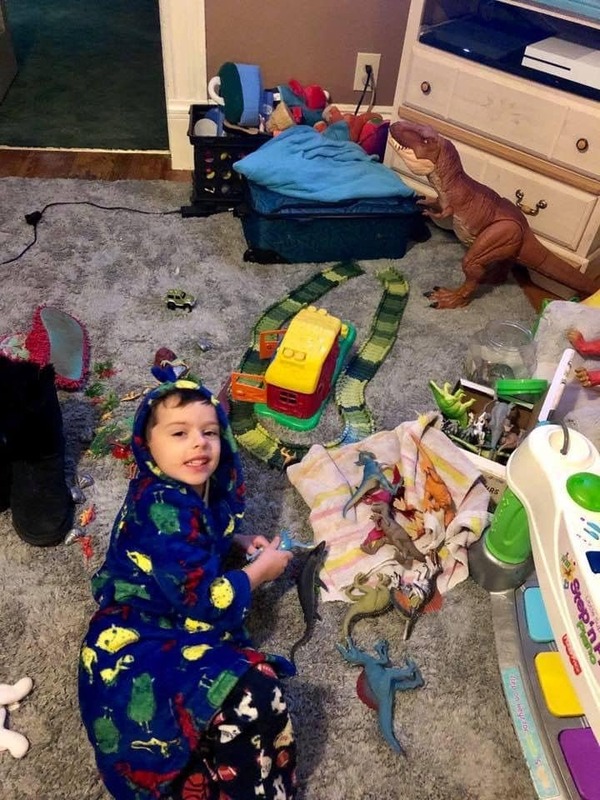 He was only able to grab some clothes and Chompy, his favorite dinosaur toy, before the family joined the thousands of displaced residents forced to flee the deadly Camp Fire wildfire. Riley, who is being raised by his grandmother Teri Shesson, made it to safety and is now staying at a relative’s house. 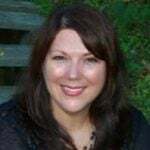 As friends of the family asked what they could do to help, Riley’s great aunt, Tanya Renfro, saw an opportunity to help the little boy regain some normalcy during a tumultuous and frightening time in his life. 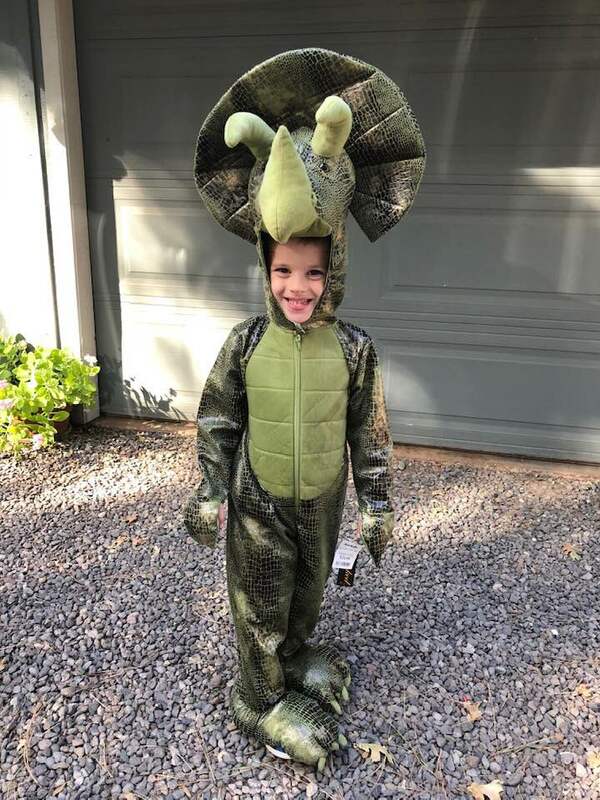 Sharing a photo of Riley dressed as a dinosaur, she asked her Facebook friends to send him some dinosaurs to replenish his lost collection. As soon as Tanya submitted her request, the donations began to pour in. Within days, boxes of dinosaur toys, blankets, bed sheets, movies, books, toys, and other dino-related swag filled their mailbox. Riley and his family are incredibly grateful, and the little boy is finally starting to feel better after the trauma of escaping the devastating blaze. Although their new living arrangement isn’t ideal, the family is just happy to have a place to live until they can find something permanent. In the meantime, receiving dozens of new dinosaur toys has raised Riley’s spirits considerably. “I got dinosaur blankets, I got a pillowcase with my name on it and a dinosaur that poops other dinosaurs out,” he gushed. Riley has received so many gifts that he and Tanya have been separating some of them to give to other needy kids. People can be so kind and generous when they want to be! 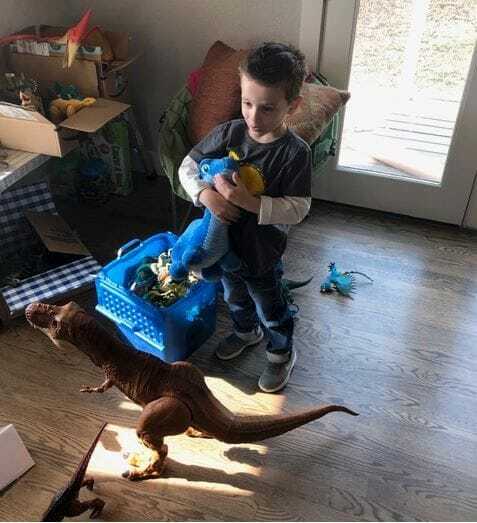 We’re so glad to hear that Riley’s got some brand new dinosaurs to keep him company while he and his grandma get back on their feet. The fact that he is now paying it forward by giving some toys to other kids just makes this story all the sweeter. Don’t forget to share this story to make someone smile today!